Summary: Created by Benjamin Philion, Lucas Martinez and Maxime Droux, the search engine started bringing jobseekers and job offers together in 2011 in Montréal. Since then, headquarters in Lausanne (Switzerland), Medellin (Colombia) and in Lille (France) have popped up. The job board exists in over 60 countries (and, consequently, in a number of languages). Currently, there are 4 692 Linkedin followers, 1 907 on Twitter (for all their different portals) and 3 396 on Facebook (which they have not updated recently), but they have no links to their media on their website. Even though they have been on the rise, the German version of the job board only gets 293 390 hits per month. The job offers: There are currently 1 169 151 job offers in German on Neuvoo (which is more than 100 000 job offers more than last year). The job offers come from all over the internet so you are likely to find a large variety of job offers. 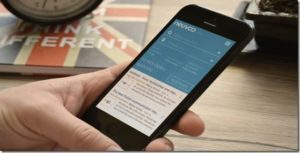 Verdict: Neuvoo is interesting for anyone who wants more information about salaries from all over the world. It might be a good idea to check how accurate the numbers are all the same. As for the job offers, it’s a shame the filters are so limited and that the visibility is low, but they are easy enough to look through. Login here for FREE to unlock access to the traffic audience, content and pricing section for more information on neuvoo Germany. Do you know neuvoo Germany?